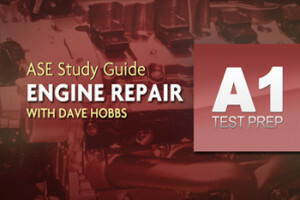 AVI and veteran instructor Dave Hobbs bring you the ultimate training for the ASE A4 test. Dave not only helps you master the Suspension and Steering test, but also gives you valuable insight on challenging problems coming into your bay on these systems. Go beyond the classroom with hands-on inspection, diagnostic tips, and scan tool demonstrations. Dave Hobbs covers extensive steering, suspension, wheel alignment, and wheel and tire diagnostic information, including symptom descriptions and their causes. Get your hands dirty and learn the differences between manual and electronic steering. Get updated information on newer systems like variable assist power steering and electronic ride control. Get a better understanding on how to properly diagnose and repair steering systems using different diagnostic tools. Dave also covers airbag safety tips for steering wheel removal, ride control scanner PIDS and alignment rack do’s and don’ts. 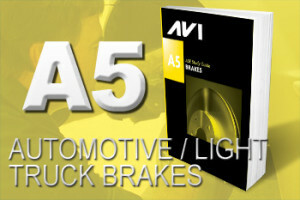 This training course also comes with the A4 Suspension & Steering Study Guide that contains dozens of useful illustrations. Whether you want to pass the A4 ASE certification test or you work with steering and suspension systems in your shop, you won’t want to miss this training program. Note: The A4 Test Prep Study Guide is NOT downloadable and may only be viewed online.